The Ninja Librarian: Middle Grade Monday: Has Anyone Seen Jessica Jenkins? 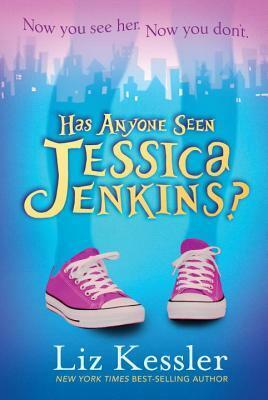 Middle Grade Monday: Has Anyone Seen Jessica Jenkins? Title: Has Anyone Seen Jessica Jenkins? Publisher: Candlewick Press, 2014. 280 pages. 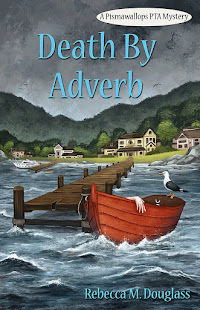 Publisher's Summary:Jessica Jenkins has always been a perfectly ordinary girl—until one day part of her arm vanishes in the middle of geography class! 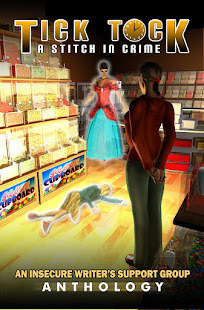 Jessica’s friends Izzy and Tom are determined to help her develop her newfound invisibility, though Jessica is more concerned with discovering where the ability came from. When it becomes apparent that there may be other kids developing strange powers of their own, Jessica marshals them into a slapdash band of “slightly superheroes.” But when an unscrupulous adult discovers the origin of their powers and kidnaps one of the team, the rest must put their heads—and all of their skills—together to avert disaster. I've read some of Liz Kessler's other books, and she likes to play around on the margins between science fiction and fantasy. I really liked North of Nowhere, and was less crazy about The Year Without Autumn (which I apparently didn't bother to review). None of that, of course, has anything to do with my reactions to this book. I thought that Has Anyone Seen Jessica Jenkins? was a fast, fun read, an adventure with an interesting science fiction/fantasy twist. I also think that's about all it is. Although the main characters learn a few things about judging other people, and their world opens a little bit, there isn't any major growth happening in this book. It's an adventure, not a coming-of-age story. The adults in the story are (aside from the villain) pretty much peripheral characters and with one exception seem to have nothing to do with the story, which in a way helps keep it at a not-too-scary middle-grade level. I will also admit that from my adult perspective I'm left a little uneasy at the end, as the villain hasn't really been what I'd call adequately neutralized. Maybe Ms. Kessler is leaving the option open for a sequel! Good for those who like adventures, and light science fiction. It will probably annoy any kid who is really into science, as the speculative part is a bit unreal. But the adventure is good, so I'd call it a nice light vacation read for kids from about 9-12. FTC Disclosure: I checked Has Anyone Seen Jessica Jenkins? out of my library, and received nothing from the writer or publisher for my honest review. The opinions expressed are my own and those of no one else. I am disclosing this in accordance with the Federal Trade Commission's 16 CFR, Part 255: "Guides Concerning the Use of Endorsements and Testimonials in Advertising." Jessica Jenkins sounds great. I wonder if we have less need for 'growth' in our books that your compatriots seem to need, judging from other GMGR comments about A Year without Autumn.